We hope you will be able to visit Lindean Mill Studio & Gallery to view the Summer Show, a collection of work made over the last 40 years. 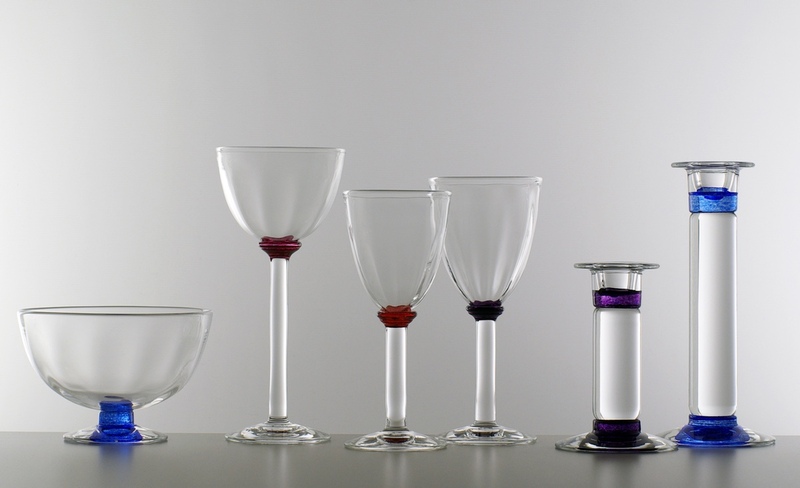 On display are glasses with colour spiral stems and engraved bowls. Plates and vessels using the Swedish overlay technique. 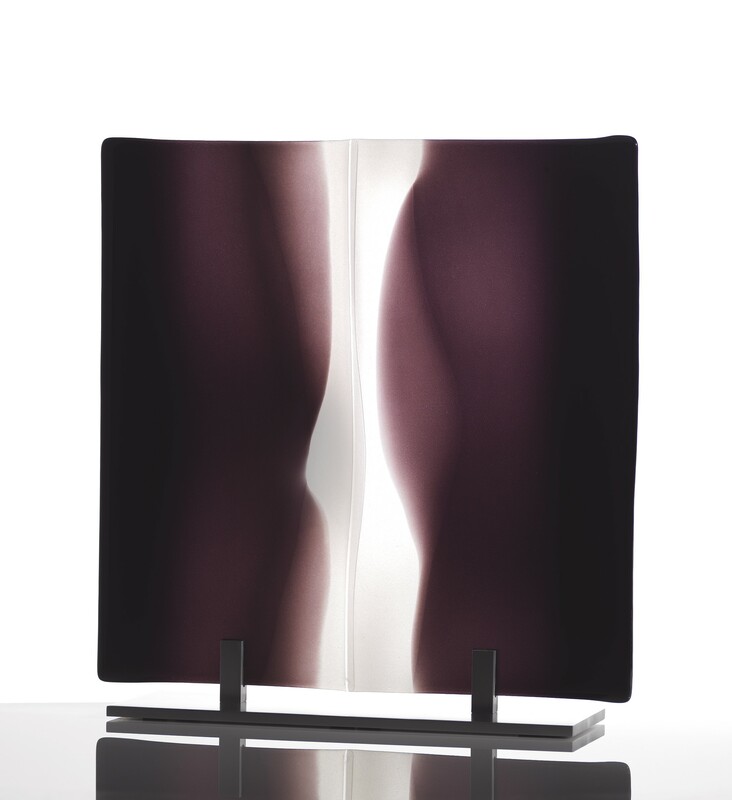 A murrini plate and bowl as well as fused glass panels. Later this year, we will exhibit our work in a retrospective exhibition at Gallery Ten in Edinburgh, opening 5th October to 10th November. Congratulations to Benjamin Myers who has been awarded the Walter Scott Prize for Historical Fiction, for his novel The Gallows Pole. 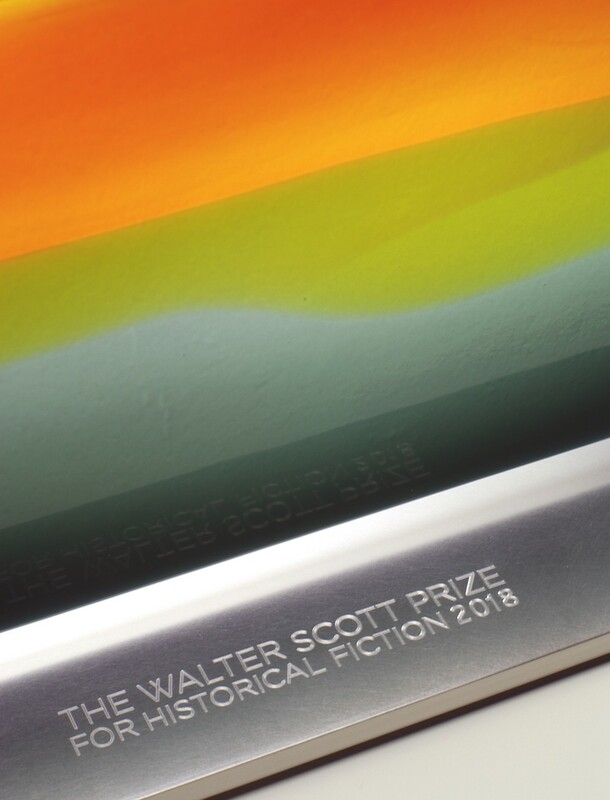 The Walter Scott Prize for Historical Fiction will be announced at the Borders Book Festival on Saturday 16 June. Sponsored by the Duke and Duchess of Buccleuch, the shortlisted authors for the literary prize, which includes a commissioned glass panel as well as £25,000, are Jennifer Egan, Jane Harris, Paul Lynch, Patrick McGrath, Rachel Malik and Benjamin Myers. 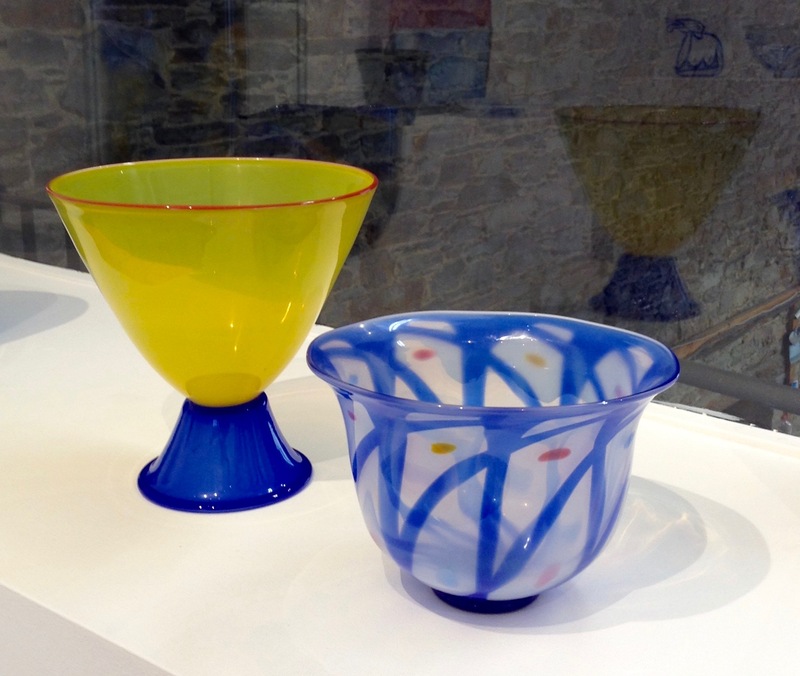 We are celebrating 40 years of glassmaking at Lindean Mill with a Summer Show. Examples of work from this period includes bowls, plates and lidded jars using the Swedish glass casing technique, Graal. 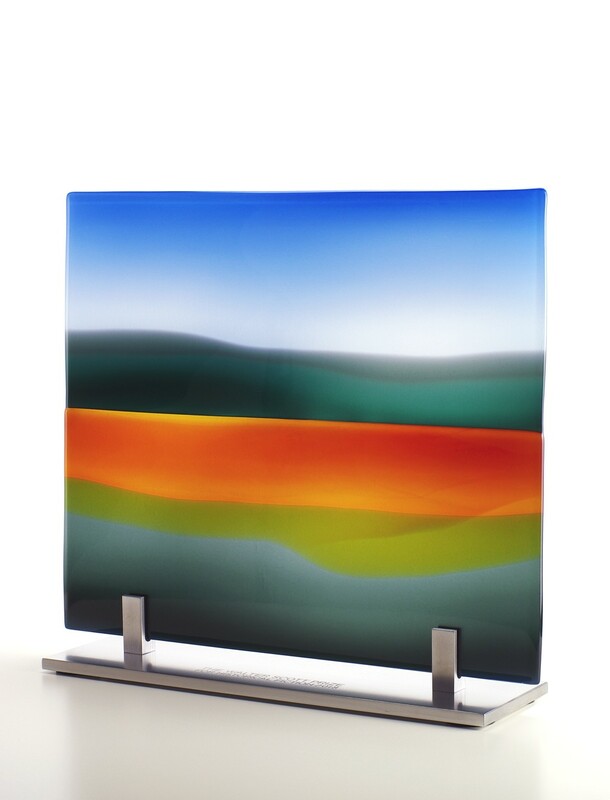 Gallery TEN in Edinburgh’s west end exhibits contemporary glass and prints and is at the moment showing our glass panels from the BorderLine Series. Monday to Friday 9 – 5pm and at weekends by appointment. For appointments, please phone 01750 20173 or 07880 723622. 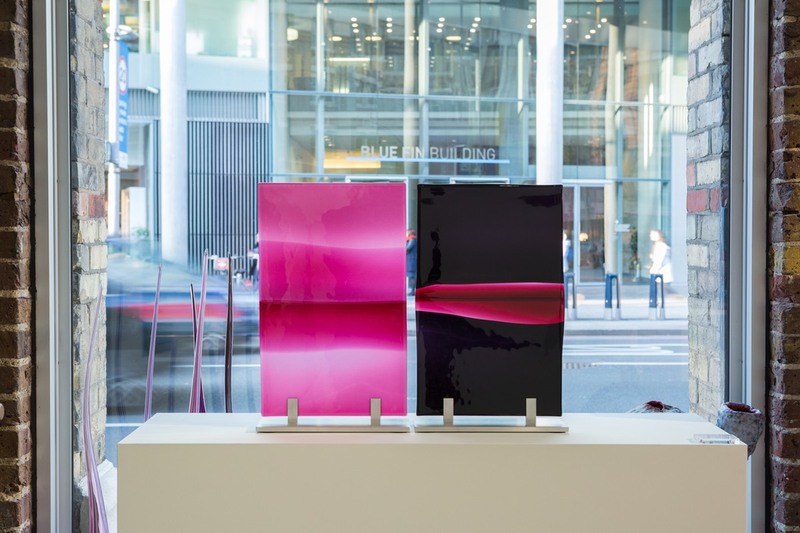 Glass panels ‘BorderLine Double Act’ are being exhibited at CAA in London. 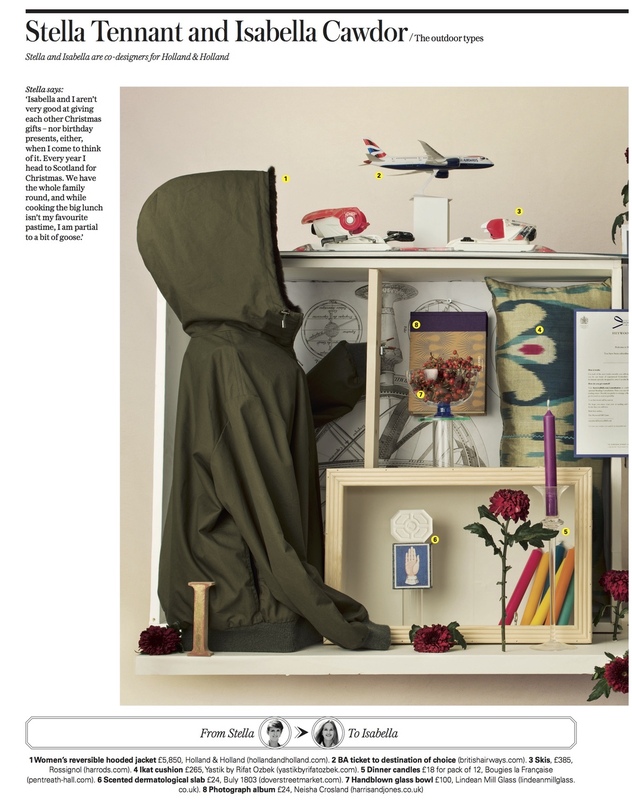 Contemporary Applied Arts presents Colour Theory, a kaleidoscopic selection of exquisite decorative and functional hand-crafted objects to celebrate spring. 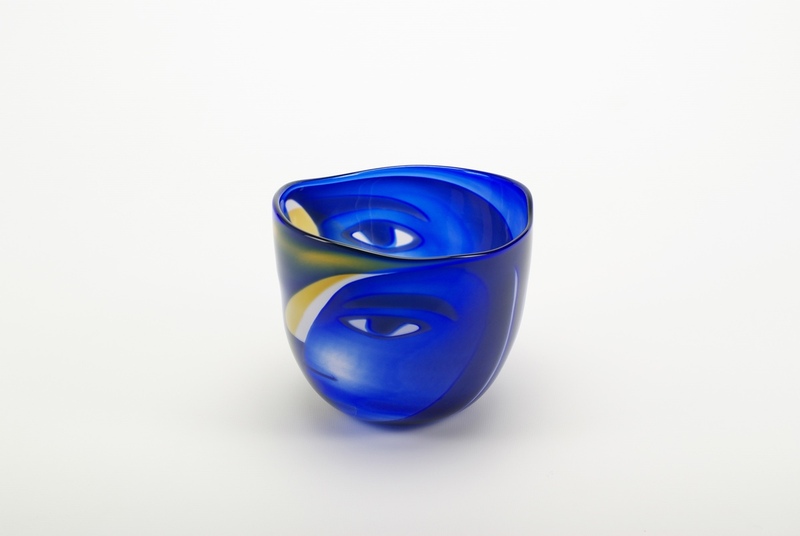 On display will be a spectrum of colour and style across the entire gallery and featuring beautiful pieces from all represented disciplines to complement and enhance each other. This is the first in a series of showcases and exhibitions celebrating CAA’s 70th anniversary. Season’s Greetings & best wishes for the New Year! Season’s Greetings to all and very best wishes for 2018! 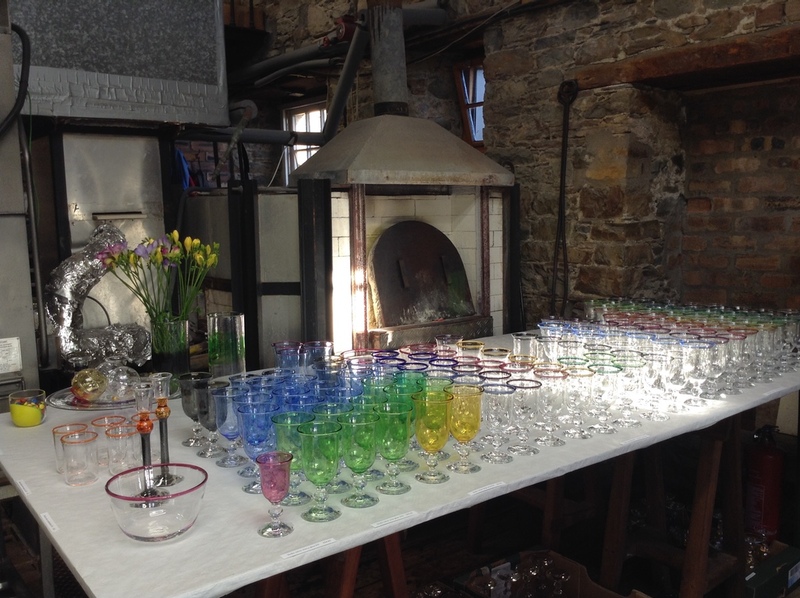 Lindean Mill Glass is closed from 22nd December until Easter. Please email us at [email protected] regarding any glass work enquiries. A big thank-you once again to all our loyal customers at the Annual Sale. £631 was raised by the raffle in support of the Teenage Cancer Trust.